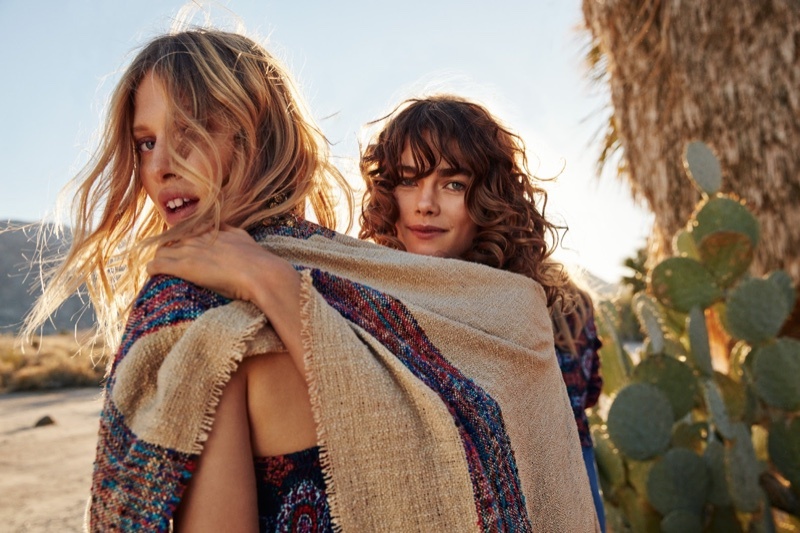 Vero Moda brings its Spring/Summer 2016 Campaign, and taps models Laura Julie, Line Brems, Mathilde Brandi and Camilla Christensen, who pose outdoors. The Danish label has the models posing as BFFs on location in Palm Springs, California, with the styling works of Mathlide Storm. The campaign captures the essentials of a sun-drenched Californian summer, as the girls show off a mix of dreamy printed dresses, figure flattering denim, lace tops, suede jackets and more.